We all like trees, trees are great. They can be used as feature plants within the structure of the garden, they can be planted peripherally to create an attractive boundary framing the garden and stopping the eye from drifting away to the wider view. Importantly, they add the third dimension to the garden – height and with height, interest, drama and majesty. They can be grown to provide fruit, shade, sound, colour shape – you name it; in fact they’re some of the most useful additions to a garden you can make. However, there is a drawback in terms of space. I’m not talking about the space the tree takes up, that can be managed very easily just by choosing the right tree, but what about the space under the tree? So many gardeners tend to write the space at the foot of a tree off, often leaving anything from a barren few feet to an entire vacant bed around the trunk. Space that more often than not is happily taken advantage of by weeds. So what can we do with these shady spots? There are difficulties of course, it isn’t just that the tree’s canopy blocks out much needed sunlight, the tree can claim dibs on the nutrient and moisture levels in the surrounding ground, leaving it dry and inhospitable. Well, as with a great many things in gardening the natural solution is the best and for this we look to how plants survive in the shade of trees in the wild, which they do in great abundance in forests and other woodland areas. The best way to begin your woodland wonderland is to put down a “forest floor” as woodland plants are used to a rich variety of fallen leaves and other such sylvan detritus to grow through and feed on as it mulches down. For this you can use mulched leaves or bark chips, as long as the ground is covered – even, if you have a shredder, your old Christmas tree, assuming it was a real one! Once this is done you can go about putting in some plants. Typically woodland plants grow in layers. The under-storey is the layer of plants that grows in the shade of the tree canopy, for this your best bet is to use a mix of flowering shrubs and ferns. 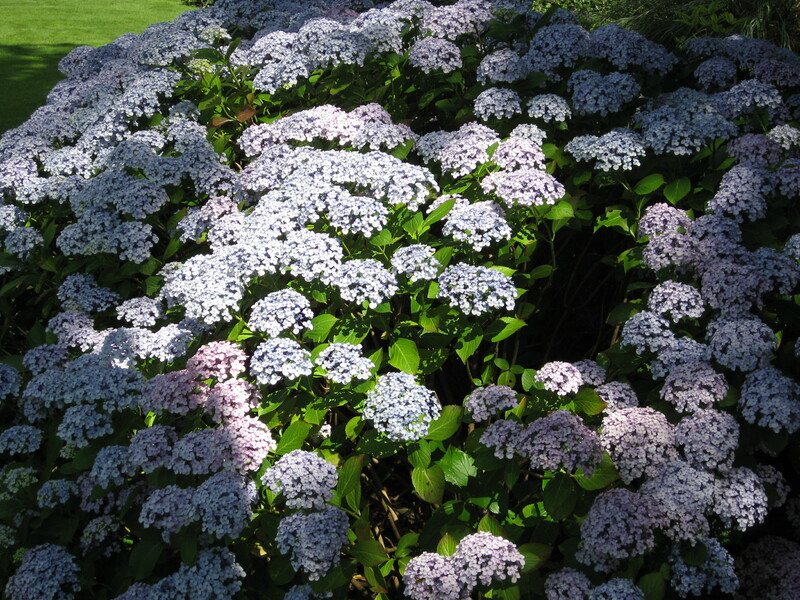 When choosing which shrubs to put in it’s best to go for softer colours as they will complement the woodland setting, anything more garish will look out of place, so go for some soft pink camellias, yellow azaleas and pale hydrangeas such as these opposite as the mainstay of the planting plan and remember woodland areas are often acidic. 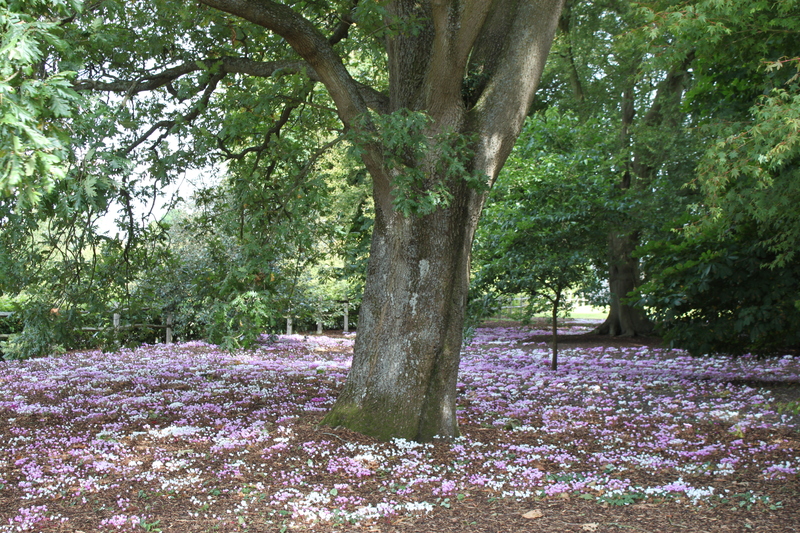 That is why Azaleas, Rhododendrons and Camellias are often seen thriving in woodland areas. For added interest you can add some smaller plants such as Dicentra ‘Bleeding Heart’ or Polygonatum odoratum ‘Solomon’s Seal’ that will peek through when the larger shrubs aren’t flowering. Berries such as rosehips or blackthorn are a good idea too, as they will provide colour and interest even in the bleak months and add to that woodland look. You will get the blessing of the birds for these also. Finally we need to consider ground cover. These plants will be no stranger to any gardener as you’ve probably grown one of them as a climber at one point or another – ivy (Hedera). Although always sold in garden centres hanging onto a cane, ivy naturally prefers to spread out over a woodland floor. This spreading behaviour of many climbers is rooted in the need to cover a wide area in search of nutrients as well as sunlight, something very important in a shady woodland when there are many layers of plants between you and the sun. These conditions are ideal, not only for ivies but also Vinca (periwinkle) or Convallaria majalis (Lily of the Valley) that are both good choices and will spread out under the other plants providing a little more interest and adding to the flowing look of the woodland. Scattering bulbs and corms into the area will create naturalised planting. When they come through in springtime a lot of the other plants will have died back and what you will be left with is a green woodland landscape suddenly teaming with colour. Trust me there are few things that evoke a sense of spring more than a woodland landscape in spring bloom. For this you can use cyclamen, snowdrops, crocuses, daffodils and my favourite – English bluebells (Hyacinthoides non-scripta). 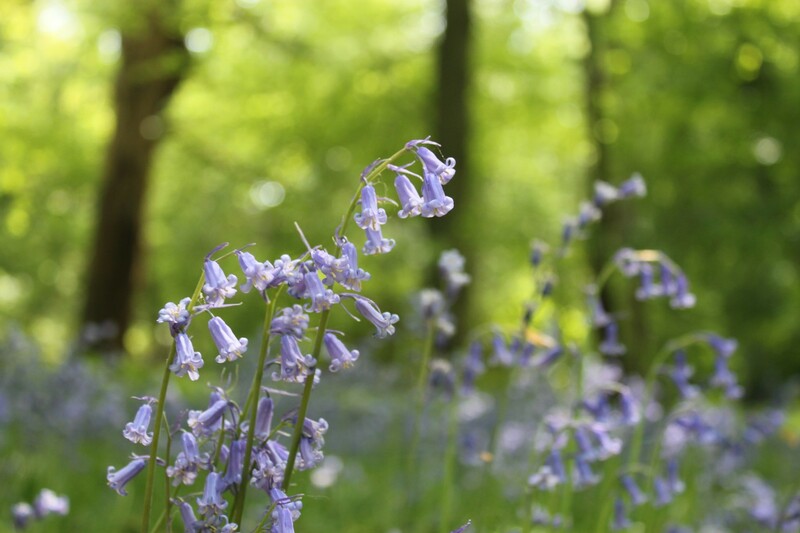 Do make sure you plant English bluebells and not the invasive Spanish variety. All of these add so much character to the area. As a last little side note, there is another reason to introduce this type of planting into your garden and that is wildlife. As the name might imply, woodland planting is adored by woodland creatures. Everything from hedgehogs to robins and countless different types of insect can be found nestling around this lush and enticing planting style. This is important too because, as I have harped on several other occasions, the natural habitats of these animals are vanishing at a rate of knots and they need somewhere to go especially in cities or built up areas. This is a planting style that can work almost anywhere so why not give it a go and make your very own woodland glade in which to frolic.